Here are a few of the products that Cheveux Hair Clinic offers to keep your hair looking great. Give us a call today to make an order! 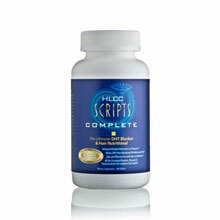 HLCC™ Scripts Complete was clinically developed to help grow your hair stronger, fuller, faster and to arrest pattern hair loss in both men and women of all ethnicities. This one step oral solution blocks DHT and gives your hair the nutrients it needs to grow, while ﬁghting DHT (which attacks your hair). 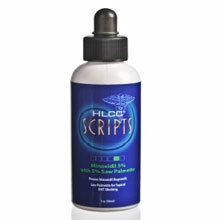 HLCC™ enhanced Minoxidil five ways, including neutralizing the alcohol content with our patented carrier solution. The carrier solution keeps Minoxidil in a liquid state longer allowing it to penetrate into the follicle where it will have the maximum effect on hair growth. Providebetter delivery system by using Scalp Therapy to dissolve sebum build up, enabling the penetration of Minoxidil or other topicals. Minoxidil only works at the dermal papilla level. Finally, we compound our enhanced Minoxidil with a special 5% Saw Palmetto extract for DHT blocking at the dermal papilla level. Maximum Growth Therapy (MGT) is a unique formula designed to help stop hair loss using 11 topical DHT blockers and nutrients. MGT is designed to provide the hair with protein building nutrients and B vitamins directly to the hair follicle to help with hair growth. It has a proven vasodilator which improves blood ﬂow assisting the vitamins in revitalizing the condition of hair and scalp. MGT is scientiﬁcally proven to stimulate your hair, due in large part to its high percentage of panthenol and cysteine, a keratin protein which is the basic protein found in human hair. 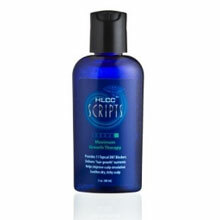 It also relieves the scalp of dryness and encourages thick healthy hair. 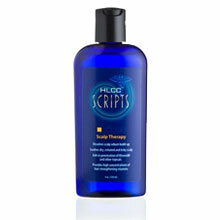 Scalp Therapy dissolves sebum (which clogs hair follicles) and promotes excellent scalp hygiene. Aids in the penetration of Minoxidil or other topicals. Contains a strong concentration of B vitamins particularly B5 which is essential for healthy hair. 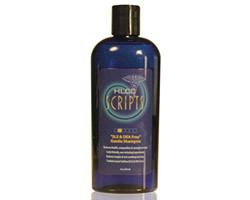 Dissolves sebum and ﬂakes (dandruff). Sebum can block the penetration of Minoxidil and other topicals which need to reach the derma papilla to work. Increases the permeability of the scalp. Scientifically formulated without DEA/MEA and/or Sodium or Aluminum laurel sulfate (SLS) derivatives as part of the active ingredients, unlike almost all other commonly used hair and scalp cleansing products. In view of recent research regarding the safety of DEA and SLS, we offer a healthy alternative – this blend of mild, non-irritating cleansing agents with water soluble polymers that provides moisture and shine to hair without harsh and potentially damaging chemical additives. This shampoo is so gentle it can be used everyday. The unique formula effectively removes undesirable scalp residue and build-up while providing strength, moisture and shine to the hair. Restores moisture to hair and scalp by acting as a moisturizer and conditioner. It provides all the essential vitamins and minerals to the hair shaft. This product adds fullness and shine to all hair types, and is the only product on the market with 25 vitamins, minerals, and amino acids necessary for hair health. Apply it directly to your scalp and see how it helps hair develop a thicker and fuller appearance all over.